This Mental Health Awareness Training for Education Professionals (Including teachers and other school staff) aims to spread awareness of mental ill-health in primary and secondary schools, colleges and universities and aims to break the stigma surrounding ill-mental health. It also contains extra resources and a wellbeing toolkit to manage day-to-day mental health. Sadly, 67% of teachers and other education professionals describe themselves as stressed. This statistic only worsens when you consider that 74% of education professionals consider they do not have enough guidance about mental health and wellbeing at work. The education sector can be a particularly demanding industry, which can have a detrimental effect on employee wellbeing. In fact, almost 30% of teachers work more than 51 hours a week, on average. Teachers and other education professionals are at breaking point and wellbeing needs to be pushed way up the agenda. Our Mental Health Awareness Training for Education is broken down into 4 easy-to-follow and beautifully animated sections which aim to educate learners on the various types of mental health problems, the science behind our thinking, and where to go to for external help. The course is suitable for anybody working in the education sector. The Mental Health Awareness Training for Education Professionals course is broken down into 4 sections. Over three-quarters of education professionals feel they don't have enough guidance or support at work to manage their own mental health. 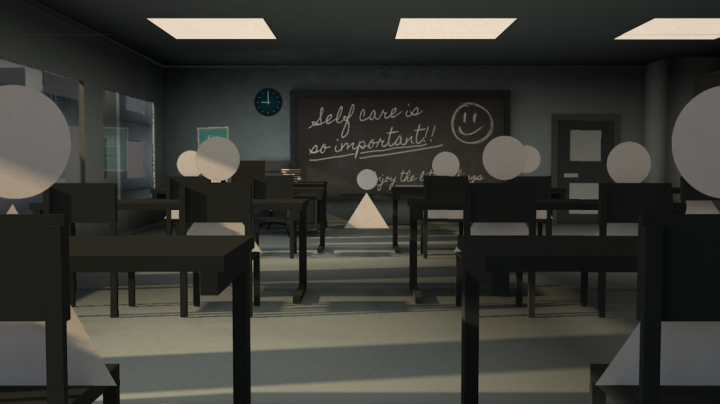 In this section, we get introduced to Mental Health within the Education sector and raises the importance of mental health training and the common triggers of poor mental health. This Mental Health for Teachers Training course concludes with a 20 question multiple choice test with a printable certificate. In addition, brief in-course questionnaires guide the user through the sections of the training and are designed to reinforce learning and ensure maximum user engagement throughout. Based on 8 real user reviews. This course made me think about my own mental health as well as others. I am always on the go and spend most of my time supporting others (in and out of work) and don't often stop to think about myself. Although i do not feel that i have poor mental health i will be using the WAP to set myself targets to boost my well-being. Essential that everyone takes time to look after their own mental health . This course provides realistic strategies for coping with anxiety . If you want to do the training by watching the video with subtitles, it is extremely difficult to read the text in white font. It was explained in a very simple and precise way which made it easier to comprehend. The resources were good and very practical. Very informative and covered a wide range of topics within mental health. It was fantastic to have an overview of the most common conditions and the additional resources were a fantastic bonus. Giving a rundown of the signs to look for combined with some practical ways to help yourself was especially useful. Good advice. Simple to use. Read our full reviews for Mental Health Awareness Training for Education Professionals.